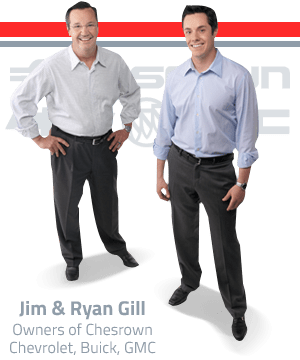 Get to Know Jim and Ryan Gill, the Proud Owners of Chesrown Chevrolet Buick GMC Serving Delaware, OH! At Chesrown Chevrolet Buick GMC, we work hard to provide our customers with a “Deal with the Owner” Experience! While we invite you to visit our dealership and talk directly with Jim or Ryan Gill, we’ve provided you with brief histories as to who they are and how the dealership has come to be. If you’d like to know more about Chesrown’s history or read about our company culture, click one of the links on the left-hand side of this page for more information. While we are happy to tell you about who we are here on our website, we would love to learn more about you! So come on by our dealership today and introduce yourself. We are located at 1701 Columbus Pike in Delaware, OH and can be reached at (740) 363-1175. 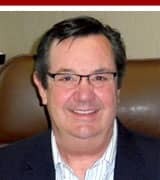 Jim Gill is the stepson of Norman Chesrown and is the current president and owner of Chesrown Chevrolet Buick GMC. Having spent a lot of time on the lot when the dealership was still Oldsmobile, Jim found his passion for the car business alongside his two brothers. While his brothers left Chesrown in the 1980’s, Jim continued to run the dealership with Norman until he acquired Chesrown Oldsmobile in 2000. With an iron will and strong ties to the community, Jim was able to overcome difficult times at the dealership and come out stronger and more successful having done so. With the help of his oldest son, Ryan Gill, Jim has created a flourishing business that prides itself on the service it provides to the community. 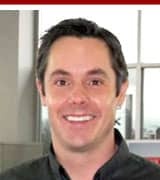 As part of the ‘Deal with the Owner’ experience, you will often find Jim around the dealership or in his office, meeting and interacting with all Chesrown customers. Ryan Gill is the son of Jim Gill and is the current General Manager of Chesrown Chevrolet Buick GMC. Ryan’s passion for the car business stems back to when he would spend time with his father Jim and his grandfather Norman at the Chesrown dealership. Having grown up around cars, he enjoyed spending his summers working for Chesrown throughout Middle School, High School, and college. Ryan worked hard as he rotated among the various departments, learning every aspect of the Chesrown business. After graduating from the University of Colorado in 2003, Ryan returned to Ohio to work full time alongside his dad and has been providing a personable experience to Chesrown customers ever since. 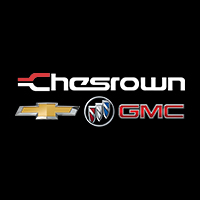 Chesrown Chevrolet Buick GMC is a family owned and operated dealership that has proudly served Central Ohio for more than 50 years. Since Norman “Rocketman” Chesrown founded the dealership in 1963, we have maintained our commitment to providing our customers with a personal ‘Deal With the Owner’ experience. Starting with Norman’s dedication to forming relationships with customers and his genuine compassion for the community, Jim and Ryan Gill have continued his legacy of treating customers like family. To read more about how Chesrown Chevrolet Buick GMC has come to be, click the banner above! You’ll find information about Norman Chesrown, Jim and Ryan Gill, as well as Chesrown’s involvement in the community over the years. Here at Chesrown, we are proud to give back to the Delaware community that has given so much to us over the course of many years. We have done everything from giving monetary gifts to historic community landmarks such as the Strand Movie Theatre, to supporting the Little Brown Jug and 4-H programs at the annual Delaware County Fair. We take pride in the area we live and work in, and look forward to many more years of being active throughout the communities of Ohio. To see what we do in and around the Delaware community, click the banner below! We also take great pride in being a source of community news and events to all of our customers in Delaware, Columbus, Sunbury, Lewis Center, Powell, Richwood, Marion, and more. To stay up to date on all that is going on in the community, or to share your own news with our customers, ‘like’ our Facebook page or follow us on twitter! We update our social media daily, so make sure to check back often for contests, games, events and more!